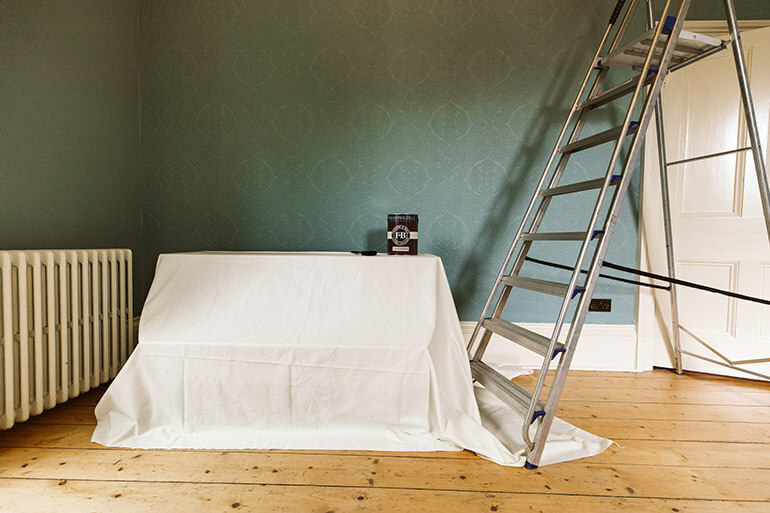 Norden Dust Covers have been manufacturing premium quality dust sheets, for supply to the trade and wholesale, for over 30 years. 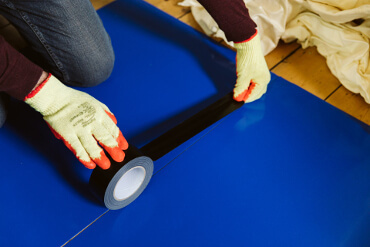 We also offer a range of other temporary protection & complimentary products including; Protection Films, Floor Protection coverings, Tape, Gloves, Rubble Sacks and Cotton Cleaning Rags. Find out more about all our complete product range using the links below. Or please Contact Us directly with any enquiries. Our dust sheets come in four different quality materials and four different standard sizes inc. 12′ x 9′, 10′ x 8′, 6′ x 4.5′ and 24′ x 3′. We also make dust sheets to customers specific size requirements. 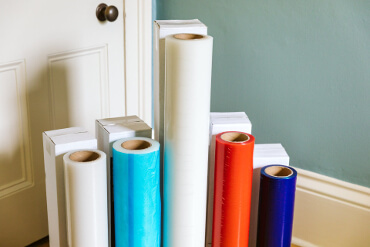 We supply carpet, window & multi purpose Protection Film in a wide variety of lengths, widths and thicknesses. As well as our standard range of 10 different films, a wider selection is also available upon request. 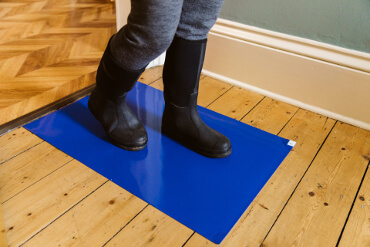 For more ‘heavy duty’ floor protection we offer a variety of coverings including Antinox / Correx board in 2mm & 4mm and Tacky Mats. We also stock tarpaulin and polythene sheeting for more flexible usage. We also stock a selection of complimentary protection products including; Tape, Builders Gloves and Rubble Sacks. 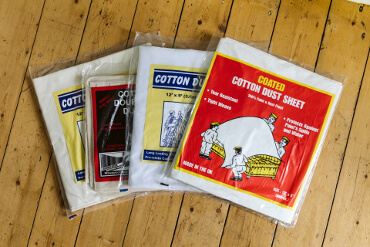 As a bi-product of creating our dust sheets we also have cleaning rags available in 10kg bundles. Interested In Becoming A Stockist Of Any Of Our Product Range?